If you think back to about a month ago, the Royals visited the Astros in Houston and that series could very well have been the worst series for Kansas City so far in 2015. Houston swept the Royals with many stating that the Astros were now the best team in the American League. A month later, Houston travels to Kauffman Stadium to play three against the Royals, but the results were not the same. Not only did the Royals take this series two games to one, they also trumped Houston in the pitching acquisition market, picking up Johnny Cueto from Cincinnati for the stretch run while Houston had picked up Scott Kazmir from Oakland earlier in the week. But this series wasn’t just trades, sunshine and lollipops. Oh no, there was also games played with action involved. So what else stood out this past weekend? Read on and hopefully we can delve into all that is Royal. Escobar didn’t scorch the ball for his big hit but was able to poke it into the outfield, away from the constantly shifting Houston defense. No one hitter stood out this series, but a guy who gets on base once every three times and gets a game winning knock is as good a choice as any for most valuable. 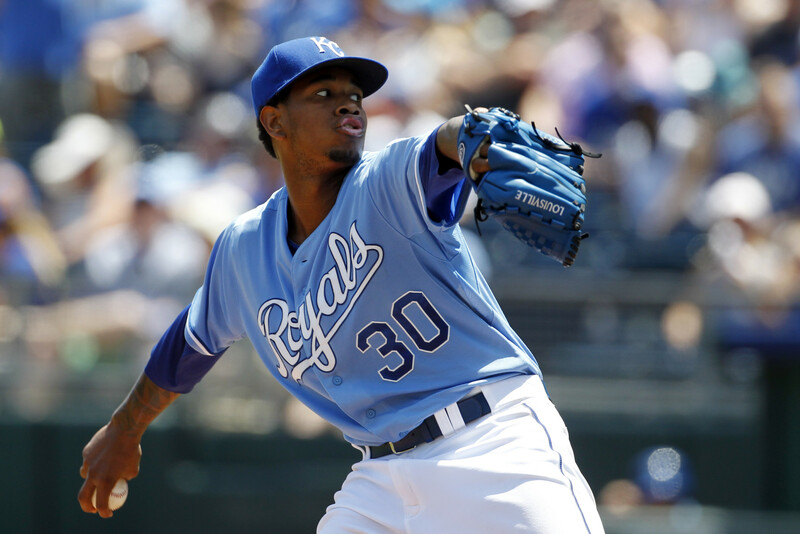 On Tuesday, Yordano Ventura was sent down to AAA Omaha to make room for Jason Vargas who was returning from a stint on the disabled list. By the next day Vargas was scheduled for Tommy John surgery and Ventura was told to stay put. Ventura had looked awful on Monday against the Pirates but Sunday against the Astros he looked like the ‘Ace’ we saw most of last year. Ventura went out on a hot and muggy Sunday and threw 7 innings, giving up 6 hits and 1 run while walking none and striking out 5. Ventura ended up with a game score of 66, tied for the third best he has had this year and it was well deserved. Ventura did a good job of locating his fastball away from the middle of the plate and had a good feel on the off-speed pitch. I’m not going to sit here and tell you he is fixed or that he won’t have another bad start this year. No, but what I will tell you is that it appeared he got the message from management that he needed to up his game and he did just that to wrap up a series win for the boys in blue. This leaves KC without a backup shortstop or second baseman with Cuthbert up. He has played three career games at 2B. The thought was that if something happened to Escobar, Infante would shift over to shortstop and Cuthbert would roll to second base. That seems like a dicey proposition but everything else seems to be working this season, so why wouldn’t this? Manager Ned Yost gave some of his starters a day off this weekend. Lorenzo Cain had Saturday off while both Eric Hosmer and Mike Moustakas had Sunday off. This was a smart move by Yost, as we are in the dog days of summer and the Royals need these guys to be as sharp as possible late in the season. I don’t always hand out compliments to Yost, but for this he deserves it. Want even more good news? Gordon plans on taking batting practice later this week. I’m not going to sit here and tell you that Gordon will be back sooner than expected, but he seems to be working at a pace that would hint toward that happening. Just saying. 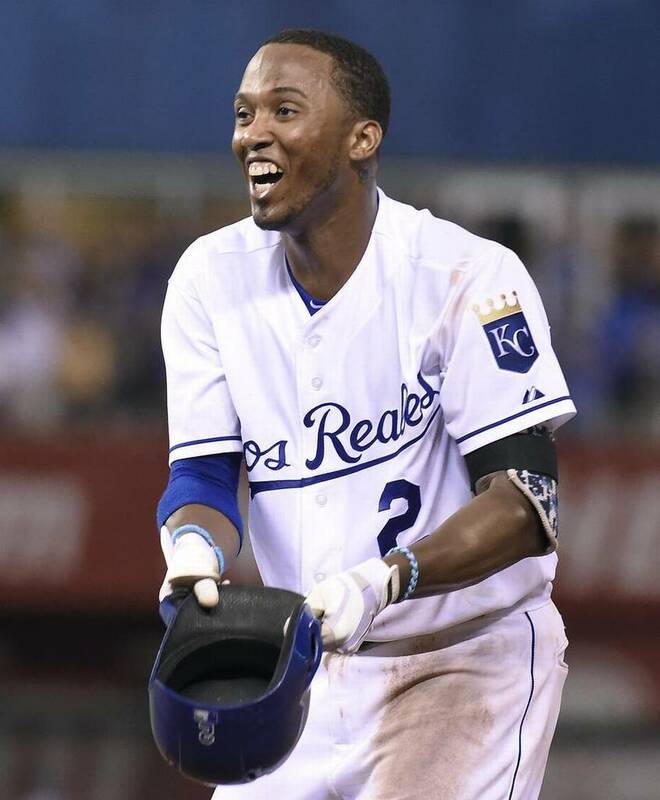 And here's our answer: Today is 1st time @Royals will employ an all right-handed hitting lineup since 9/27/2005. Emil Brown hit cleanup.
.@Royals just became 1st team to face 6 different sub-3.00 starters post-ASG in an 8-game stretch since the 1985 Mets. 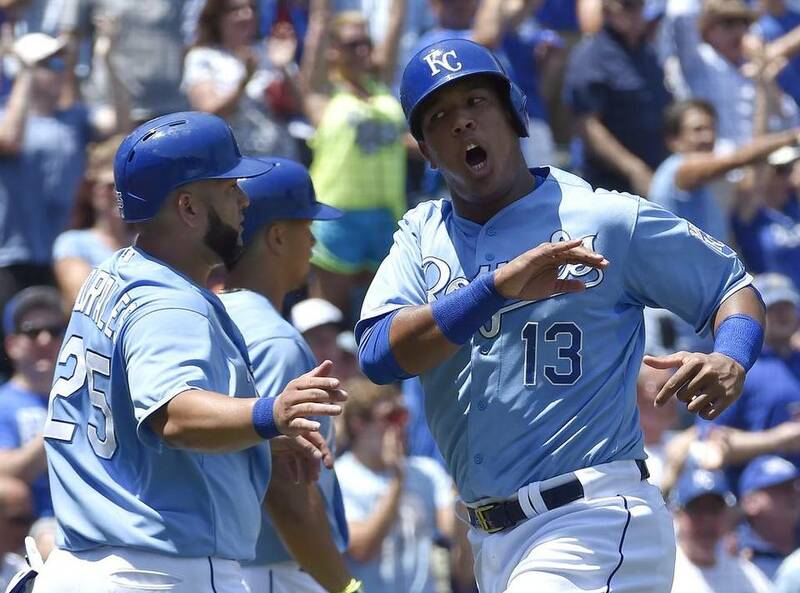 There has to be a little bit of concern as of late with Salvador Perez’s hitting. Over the last two weeks Perez has a line of .154/.209/.231 and over the last month he is hitting .186/.220/.360. I don’t know which is more impressive in that span; only 18 strikeouts or the 3 walks. Yost has been giving Salvy regular rest, so this just seems more like someone who is not very selective at the plate. Fixing Salvy’s offense could become a major project soon if it doesn’t improve. I am a big fan of Moose’s turnaround. The guy has put in the work and the results are apparent on the field. 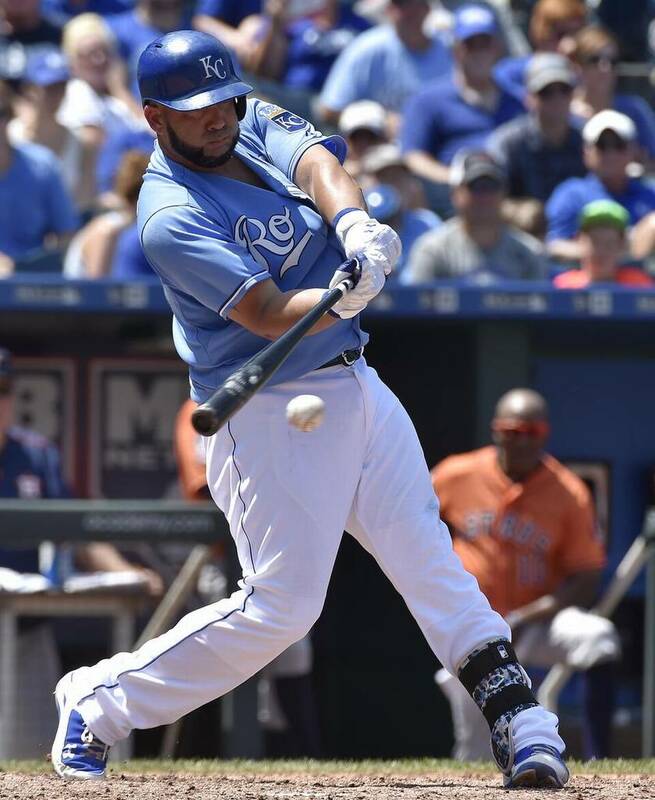 I know Albert Pujols is having a nice return to form but I would vote Moustakas as the Comeback Player of the Year. Carlos Correa is already really good. Like ridiculously good. I’m afraid of how good he will be with some more maturity. Danny Duffy continues his turnaround since returning from the disabled list. On Saturday Duffy threw 6 innings, giving up 3 hits and 1 run while walking 1 and striking out 3. His game score of 64 was tied for the second best score he has accomplished this season. If Duffy continues to sparkle, and Yordano can pitch more like he did on Sunday, then the Royals rotation is starting to look more formidable than it looked even just a week ago. Oh, and the Royals picked up that Johnny Cueto guy. I wrote a few words about it here. It’s worth your time. re: Cueto. It's nice to see #Royals management going all in. I would assume the last time we saw this was when Ewing was alive. I've seen the Royals play a Game 7, but I've never seen them go for it like this at the trade deadline before. I don't know how to respond. 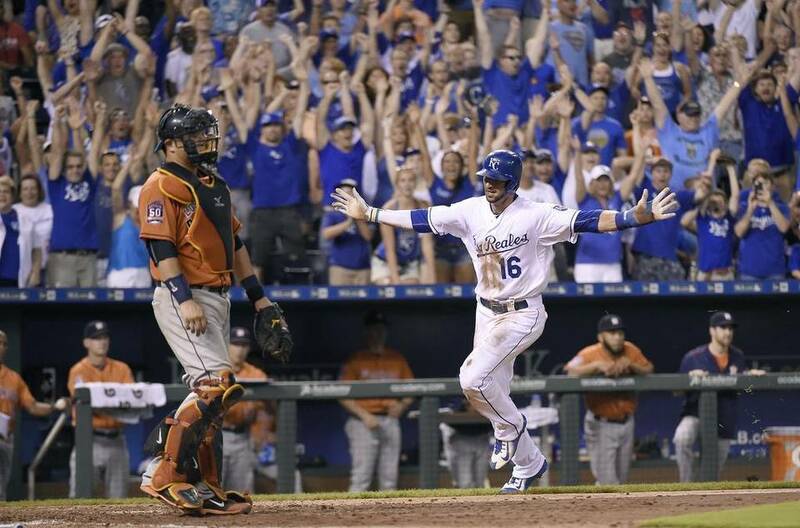 Question now for Royals: Do they go and get Ben Zobrist, too? The fit is absolutely perfect. Nationals and Mets, among others, are in play. In 2015, these aces have season highs in hits vs. the @Royals: Sonny Gray, David Price, Chris Archer, Chris Sale & now, Dallas Keuchel. The Royals adding Johnny Cueto is like a tropical depression turning into a full-blown hurricane. The Royals adding Johnny Cueto is like a thunderstorm adding lightning. Royals lead the Twins by 7.5, Tigers by 11 and they just traded for an ace. Crazy world we live in. 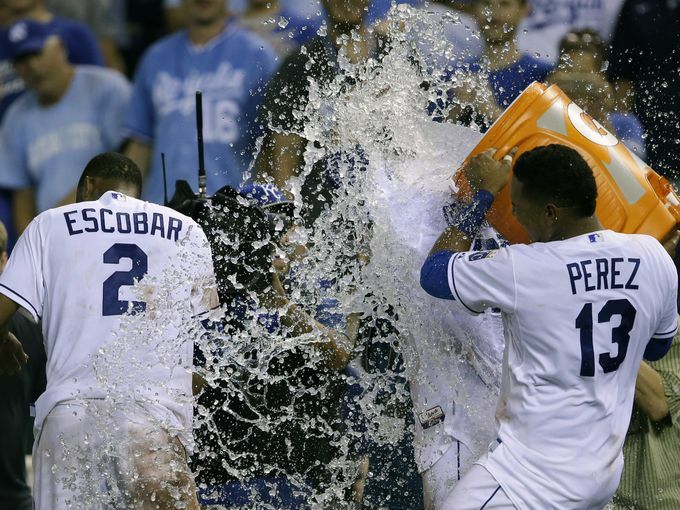 The #Royals are 10-1 in their last 11 day games. Even with Johnny Cueto on board, don't think KC is done adding. Hearing they're expected to stay in on Ben Zobrist until the end. If you noticed a little bit more of a hop in my step, it would be because of all the great things happening right now for the Royals. Kansas City takes another series, have a big lead in the American League Central, have the best record in the American League and now have Johnny Cueto to lead the rotation. Can things get better? I’m not going to sit here and tell you no. The Royals have the Cleveland Indians next, a team that’s pitching scares me but continue to under-perform. After those three games the Royals will travel to Toronto for four against the Blue Jays and then three in Detroit. It’s not the easiest schedule but as long as the Royals win these series they remain the team to beat in the American League. So bring everyone else on; so far it appears this team can take it.